I like to keep a large bowl of diced watermelon in the refrigerator during the summer months. It’s the perfect cool and refreshing snack, but it also makes a great salad. 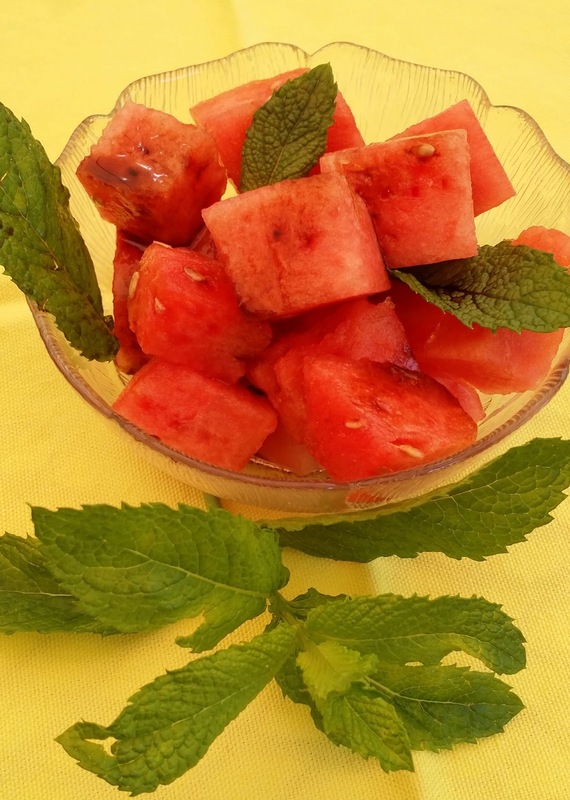 Combine the watermelon, olive oil, and mint leaves in a large bowl. Drizzle with balsamic vinegar and serve right away. 1. 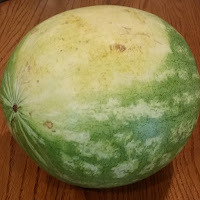 Look for a pale yellow spot on the rind. That tells you it was left on the ground to ripen. 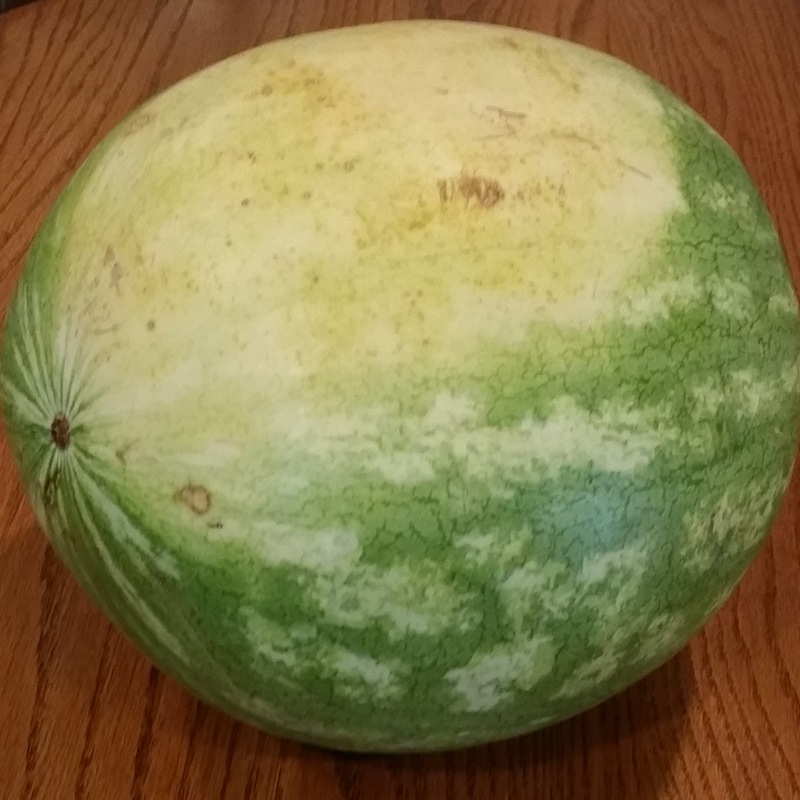 However, if the spot is a greenish-white, the watermelon’s probably not ripe enough. 2. Pick it up and make sure it’s heavy—heavier than it looks. 3. Knock on it and listen for a hollow sound. Please share some of your favorite quick and easy watermelon recipes? I love watermelon. Thanks for the tips on picking a good one. Thanks for sharing the recipe, Raine. Looks easy and refreshing. It is. I hope you enjoy it. Love this recipe! Thanks for posting it. Also good when adding pitted black (or Greek Kalamata) olives. Will be making it for Independence Day.